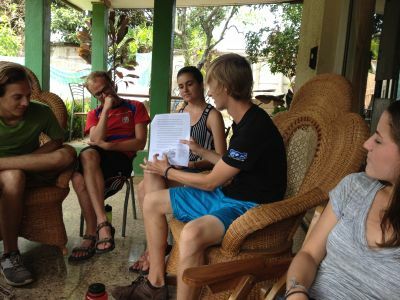 Although much of our learning during the first six weeks was experiential, guest lectures and readings added both depth and breadth to our country study. 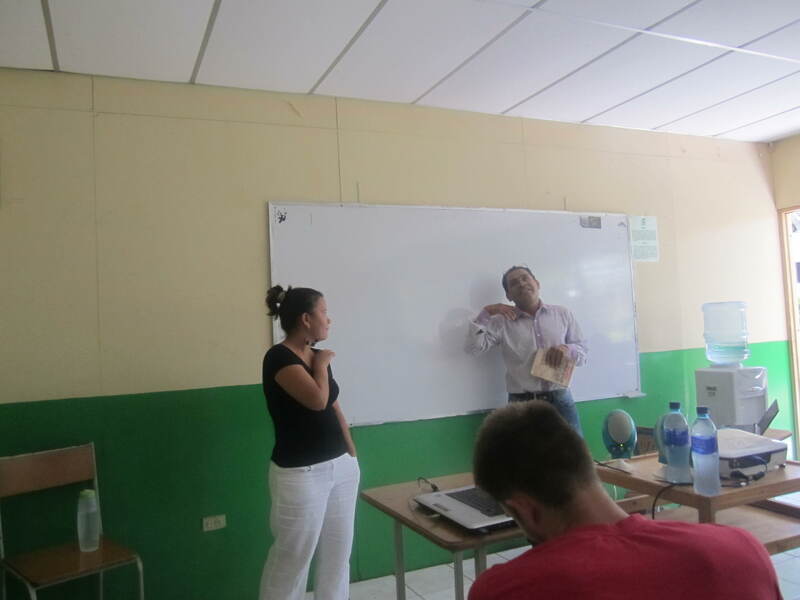 In addition to the initial series of lectures on Nicaraguan history by Aynn Setright, we attended charlas (talks) on gender relations, literature, religion, and economic development, among others. 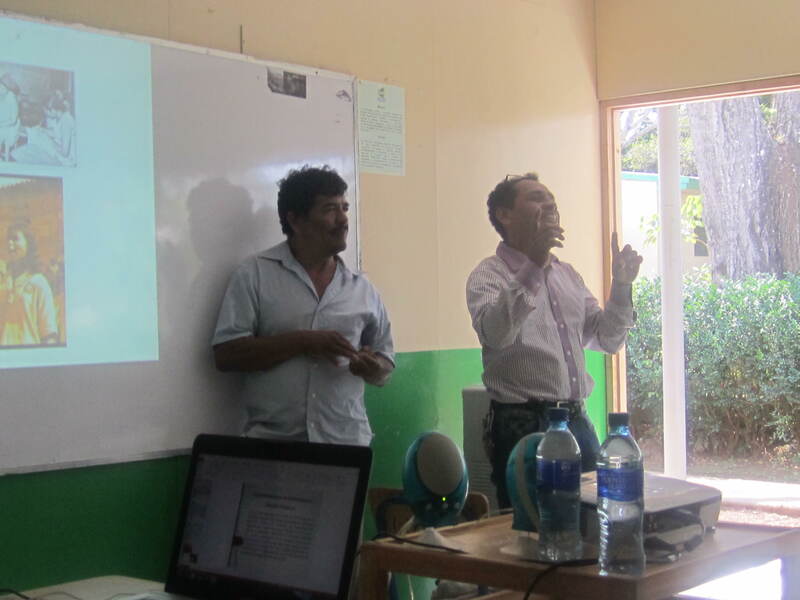 One of our favorite presentations was by César Octavio Aburto and Humberto Narvaez, both of whom participated in the National Literacy Campaign of 1980. 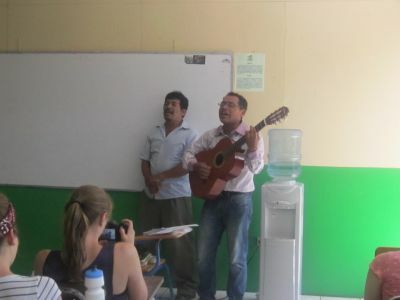 Both were teens at the time (César was 13, Humberto was 18), and along with 95,000 other youth they went out into the poorer and more remote areas of the country for five months, where they lived with campesino [peasant] families and taught the family members how to read and write. 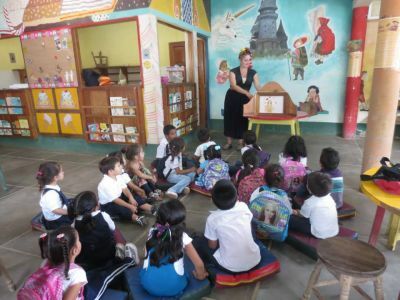 Not only did the campaign reduce Nicaragua’s overall illiteracy rate from 50.3% to 12.9%, it also resulted in an unprecedented interchange between people of different socioeconomic classes. 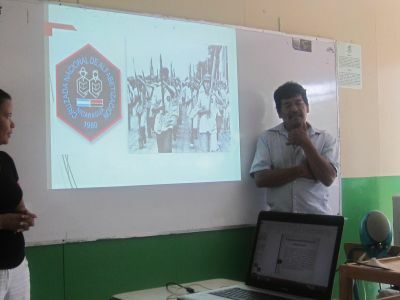 “We learned from each other,” said Cesar, citing a secondary goal of the campaign, which was to foster greater understanding and cohesiveness among Nicaraguans of different backgrounds. César credited his early experience as a brigadista with his decision to make education his profession. 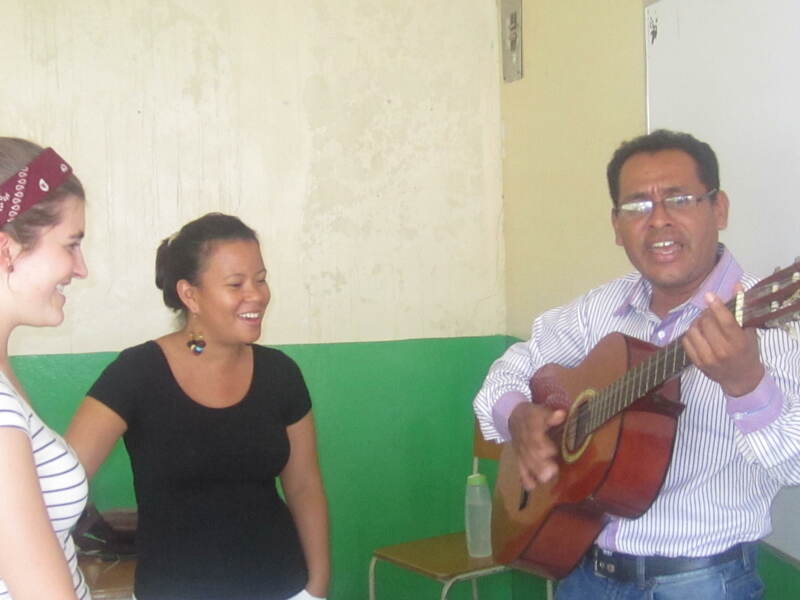 He now teaches art at UCN/Universidad Central de Nicaragua. In addition to sharing some of their own personal artifacts from the crusade, César and Humberto concluded the presentation by signing the anthem of the campaign, which was a special treat for us. 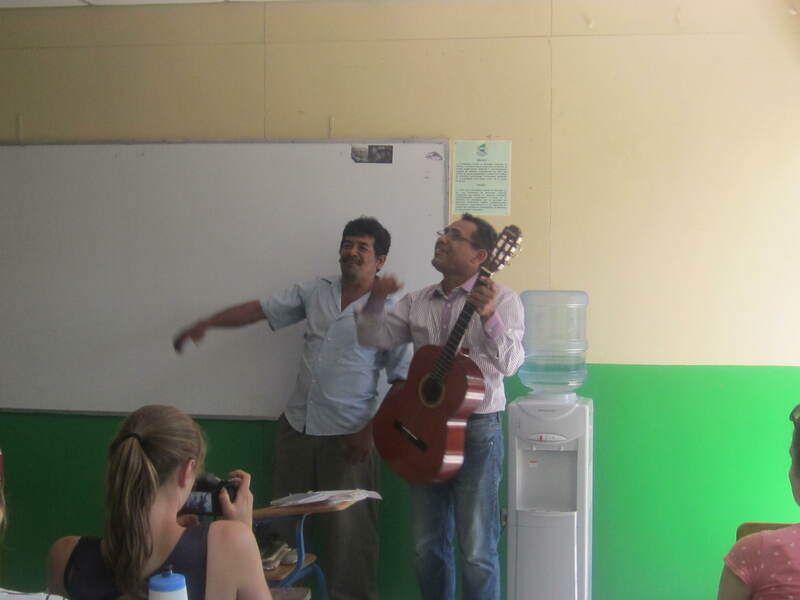 César has an obvious passion for teaching. 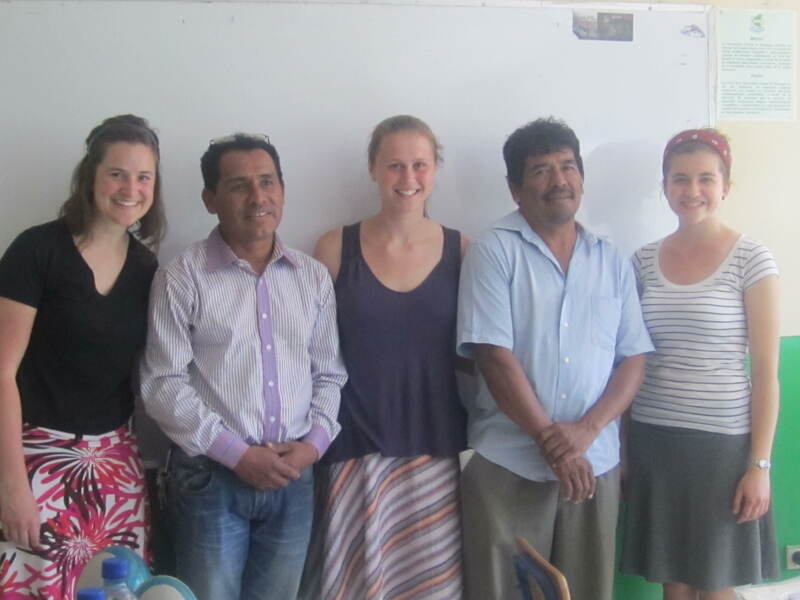 César showed us his brigadista uniform, which included the traditional Nicaraguan peasant shirt, called a cotona. 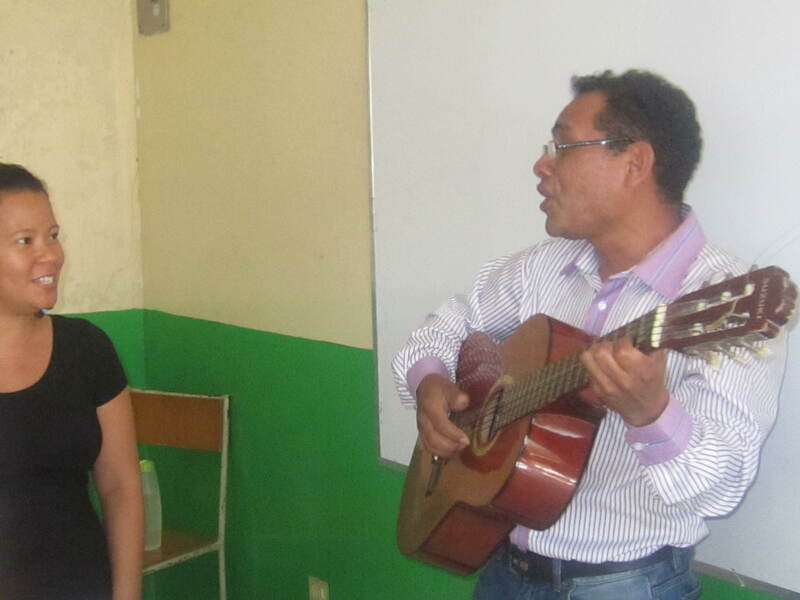 César stayed after and sang some more songs for/with us.